The iconic American Colony Hotel is part of the history of Jerusalem and is a favourite spot for both local residents and the international community. 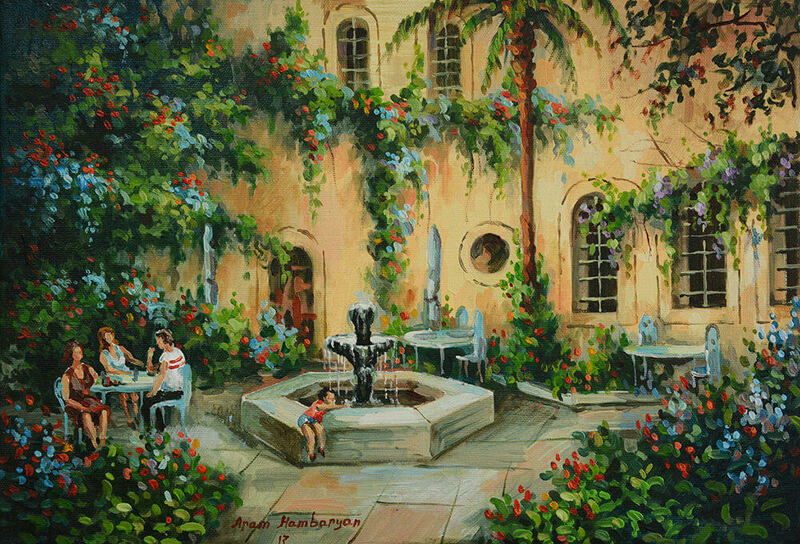 Formerly a pasha’s palace, the Hotel has a delightful oriental courtyard with a central fountain, a magnet for children as portrayed here in this original oil painting. 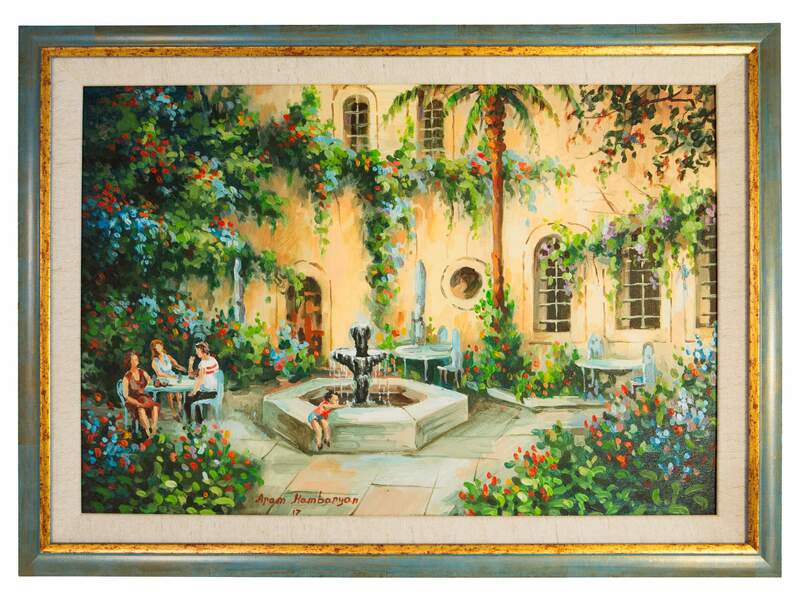 Armenian artist Aram Hambaryan started painting as a child and attended art school from the age of 14. He went on to obtain a PhD in Art History in Armenia and worked as an art teacher before coming to Jerusalem in 2015 to paint in the Armenian convent. He has since held several exhibitions of his work. Aram has a particular interest in painting architecture and stonework so the historic buildings of this unique city provide him with endless inspiration.